It’s not often you get the opportunity to revisit a commissioned design project, but it happened to me this year. 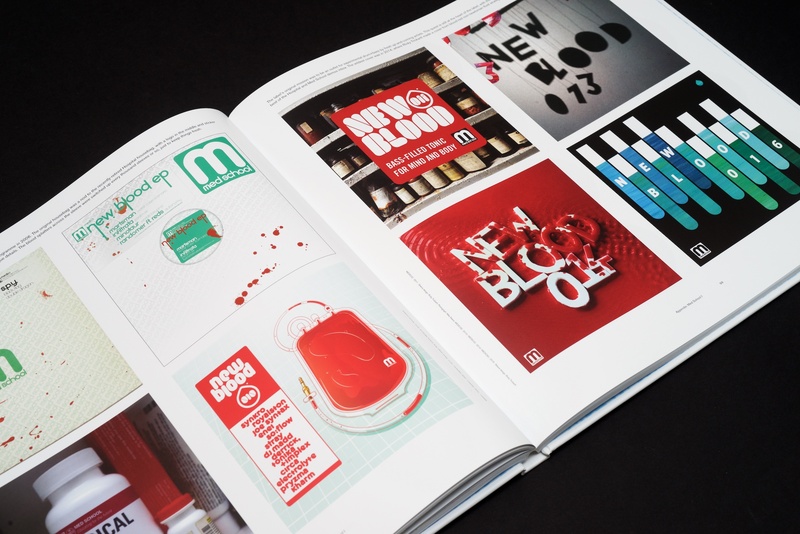 To close out their twentieth year in business (and the coincidental timing of the big-number NHS300 in their catalogue), Hospital has published another book. We called it Appendix, which I’m sure my more loyal followers wouldn’t be surprised to hear was my idea, given my puntastic instagram feed. 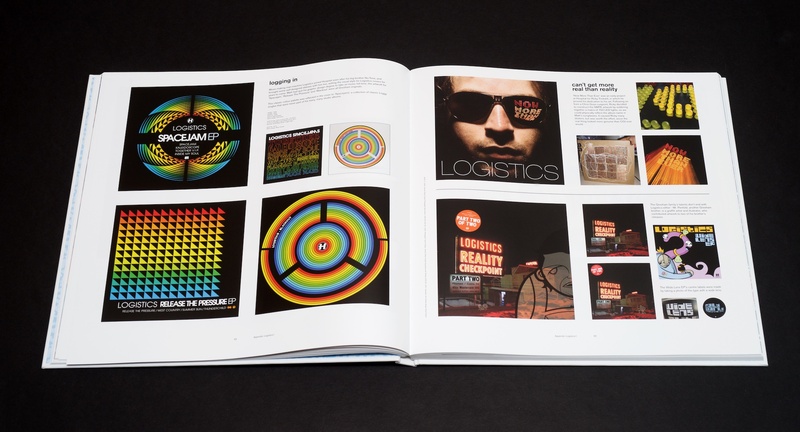 It’s a 180-page hardback book, approximately the size of a 12″ record, that comes with a six-track EP of collaborations between some of the label’s current album roster. 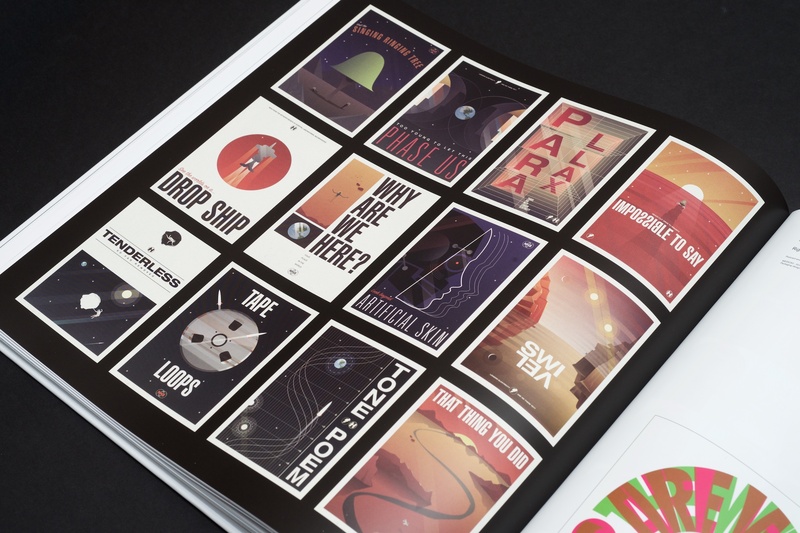 It’s a proper coffee-table art book! NHS300 is like a bigger, better version of NHS200. As well as being a lot larger and more robust physically, it also includes a lot more content. 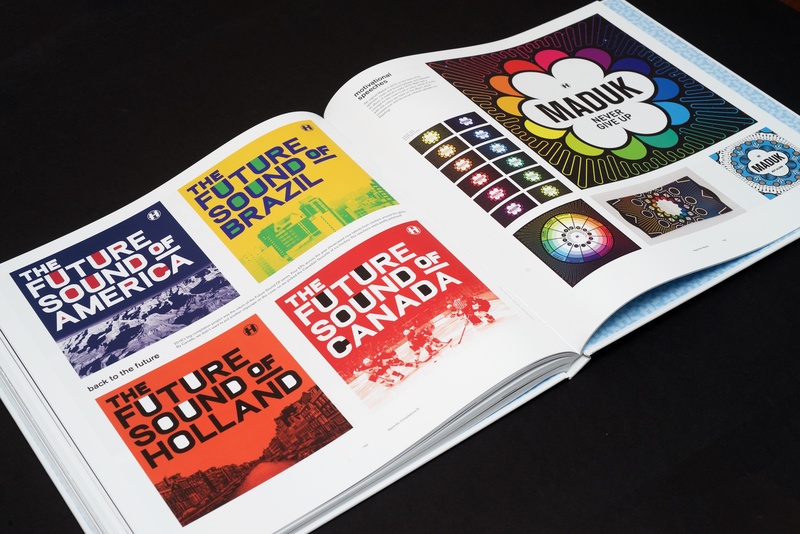 Naturally, it includes all of the label’s history and artwork roots, a lot of which has been expanded upon and rephotographed for the project. It also encompasses the five years that have (unbelievably) happened since NHS200. 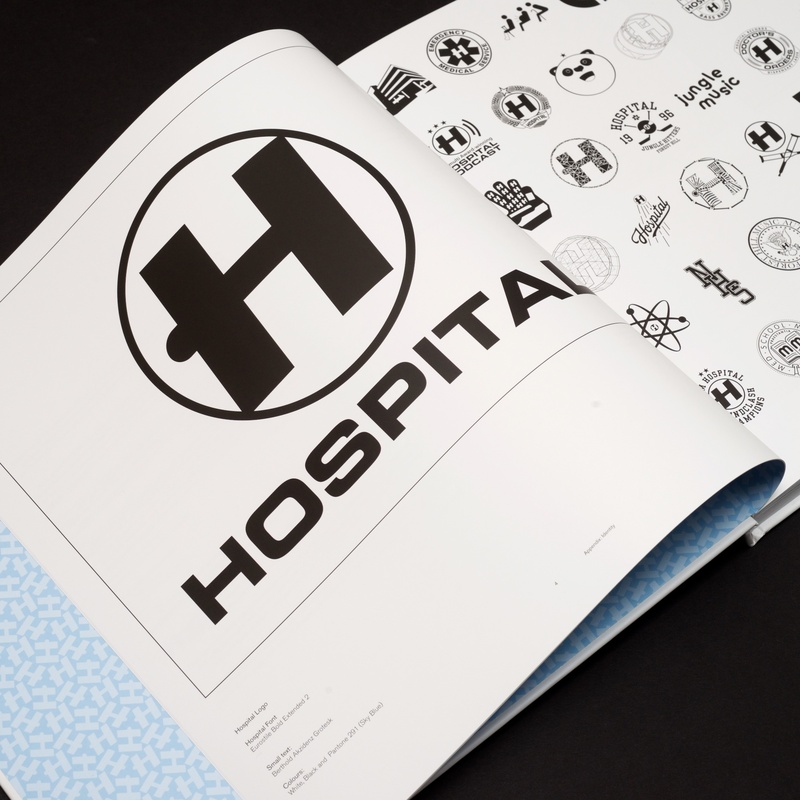 In that short time, there has been a hundred more releases on Hospital, another 38 on little-sister Med School, a huge shift in the stable of artists working on albums for the labels, and countless ever-growing parties, all of which is covered in this book. As well as rethinking the design of the book from the ground up, another new feature is more writing from me! I seem to have made a bit of a career at Hospital of writing silly things on products as placeholder, only to have the label staff tell me to leave it there as they like it. This has come out in Appendix in the form of a running ‘Ricky’s Rejects’ section, where I pick out some of my favourite record covers that never were and explain why they didn’t make the cut. From my first-ever album project at Hospital a decade ago, all the way up to NHS298, things are still getting caught in the filters, and I pick out some of the highlights. You’ll have to get the book to see them! I also got to illustrate a unique cover for this, which is another satisfying improvement over NHS200. It’s a hospital room entangled with all the things that make Hospital Records what it is – music, medicine and making things, which I hope is reflected in this book! 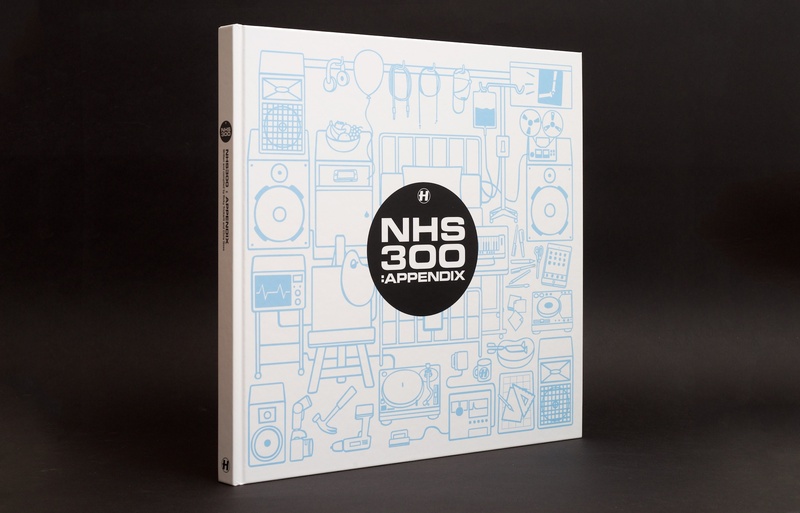 NHS300: Appendix is being sold exclusively on the Hospital Shop. It’s a totally limited product – we won’t be manufacturing any more once they’re sold. So if you want one, you can have it, and just in time for Christmas too. They’re shipping now! 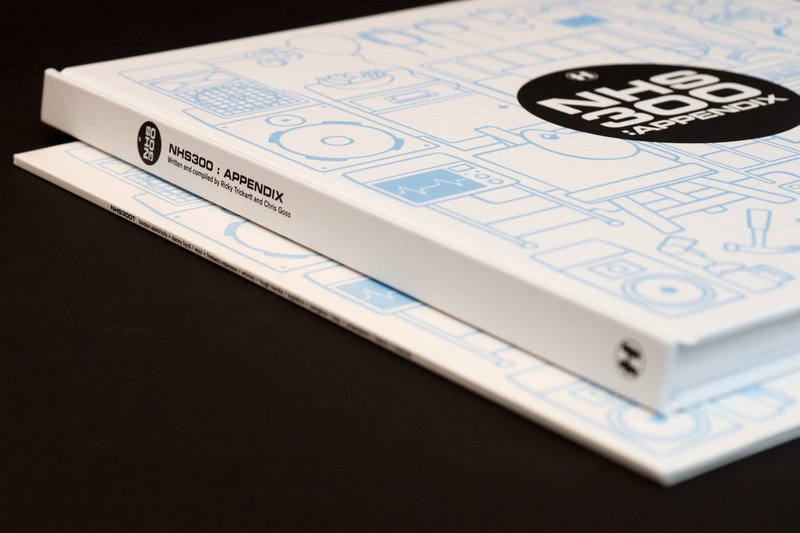 It’s an essential object for fans of the label.